U.S. companies are showing enthusiasm for the upcoming first China International Import Expo, with the number of firms that signed up for the event from the United States ranking third among all economies, the Ministry of Commerce said on Thursday. The event, scheduled for Nov 5-10 in Shanghai, will mainly be categorized by country pavilions and business exhibitions. The former is exclusively reserved for country exhibitions, not for business transactions. Ministry spokesman Gao Feng said nearly 180 U.S. companies have so far confirmed their participation in the event, although the U.S. won't have a country pavilion. As for the business exhibition, U.S. firms will cover fields such as high-end manufacturing, intelligent equipment, agricultural products, culture and sports, Gao said at a news conference. The event will create a high-level platform for all global companies to communicate and cooperate with each other, Gao added. The CIIE, the first-ever Chinese fair focusing exclusively on imported goods and services, has attracted over 2,800 companies from more than 130 countries and regions. China is expected to import 10 trillion U.S. dollars worth of goods and services in the next five years, according to the commerce ministry. 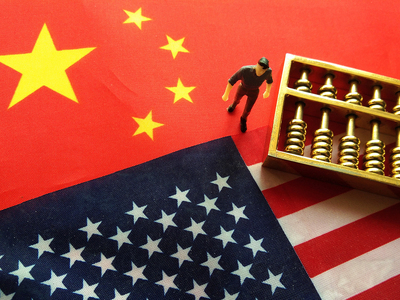 For U.S. companies doing business with China, the trade tensions between the U.S. and China are really "a distraction", Robert Kuhn, chairman of the U.S.-based Kuhn Foundation, told Xinhua News Agency. "They're unhappy with it. It's beyond their areas of expertise. They really don't want to deal with the problems of the bigger macroeconomic, political, or economic or geopolitical matter. They only want to deal with the nuts and bolts of their own business. And to be successful, they need to be in the Chinese market," Kuhn said. Shane Tedjarati, president of Honeywell Global High Growth Regions, said the expo offers a good opportunity for global companies to strengthen cooperation with China. The company will introduce a series of high-tech connected technologies during the expo, Tedjarati said. China and the U.S., the world's two largest economies, have been embroiled in trade tensions for the past several months. Gao said trade negotiations are a mutual process, rather than a "one-way street" that addresses the concerns of a single party. China has always been sincere about trade talks, and hopes the U.S. side will also show sincerity and negotiate in a constructive manner, he said. China will accelerate the legislative process of the Foreign Investment Law, further improve investment liberalization and facilitation, and maintain a stable, fair, transparent and predictable foreign investment policy, Gao added.